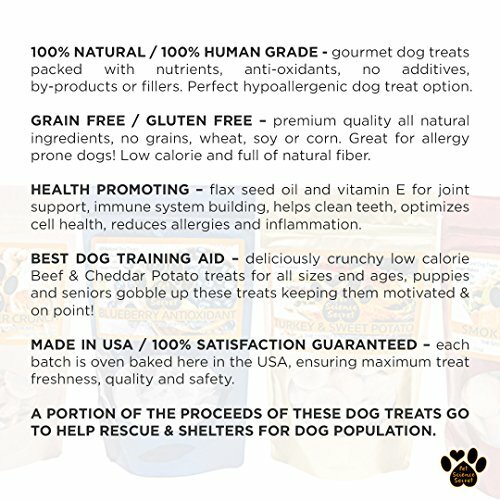 100% ALL NATURAL HEALTHY DOG TREATS – gourmet dog treats packed with nutrients, anti-oxidants, no additives, by-products or fillers. 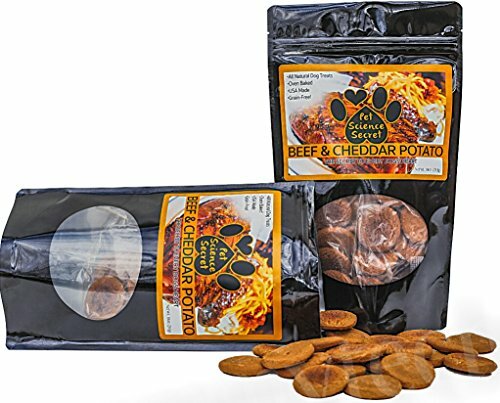 Perfect hypoallergenic dog treat option. 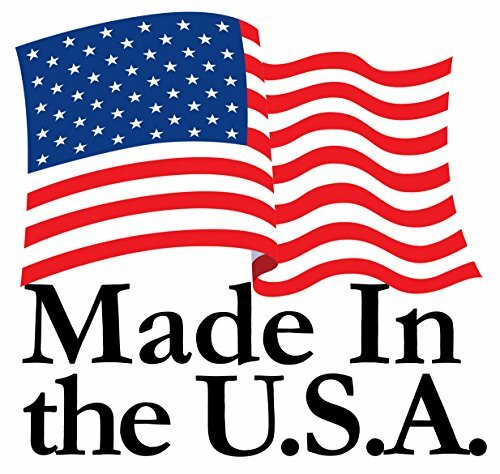 GRAIN FREE / GLUTEN FREE – premium quality all natural ingredients, no grains, wheat, soy or corn. 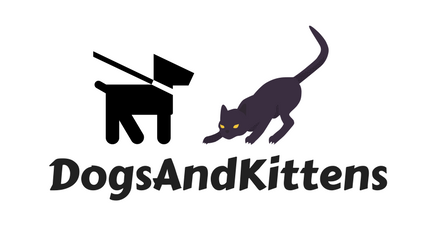 Great for allergy prone dogs! Low calorie and full of natural fiber. 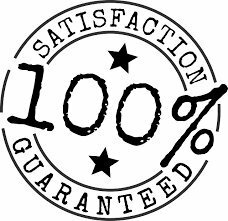 HEALTH PROMOTING – flax seed oil and vitamin E for joint support, immune system building, helps clean teeth, optimizes cell health, reduces allergies and inflammation. 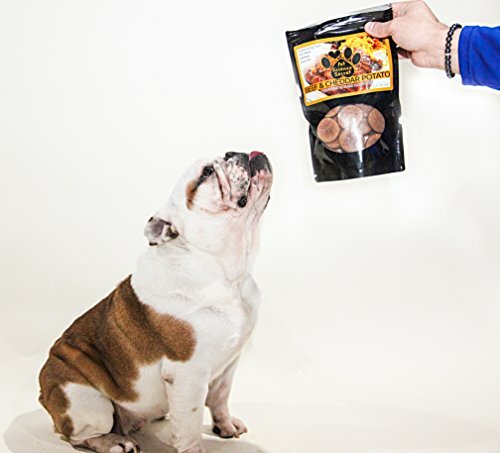 Pet Science Secret 100% organic, all natural and healthy dog treats will keep your dog begging for more! 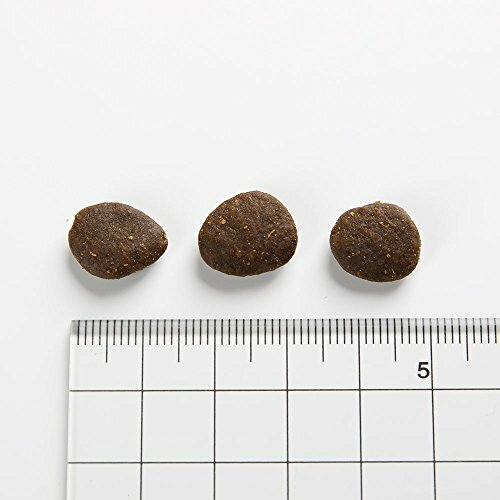 Healthy, filling and satisfying, you don’t have to worry about over feeding your dog with these healthy treats!! 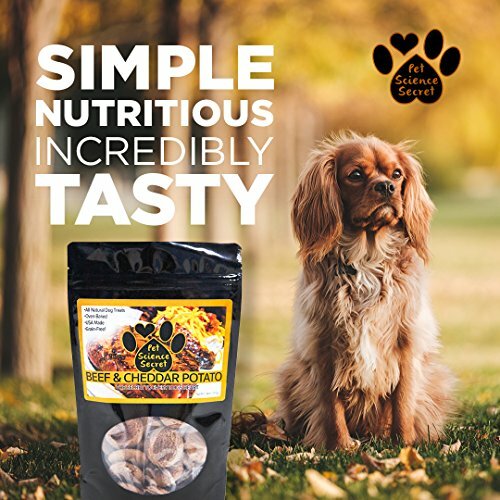 Packed with antioxidants, flaxseed oil, vitamin E oil with no artificial additives, no added preservatives or by-products, also very low in fat and calories, you can give your dog treat after treat – guilt-free! 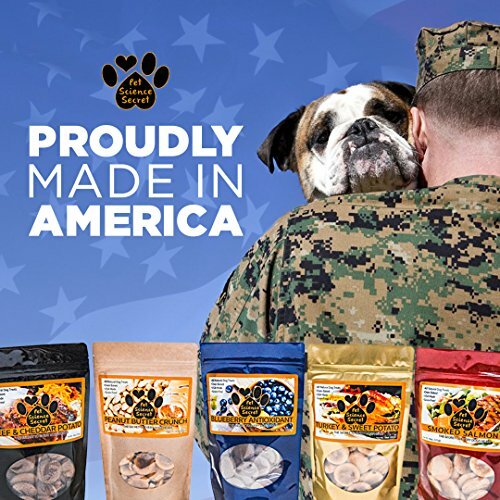 Made in the USA with hand-picked ingredients, each treat batch is hand processed and specially baked using only superior, premium ingredients. 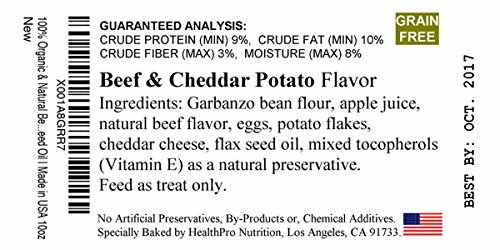 Garbanzo bean flour, apple juice, natural beef flavor, eggs, potato flakes, cheddar cheese, flaxseed and vitamin E oil in every batch. 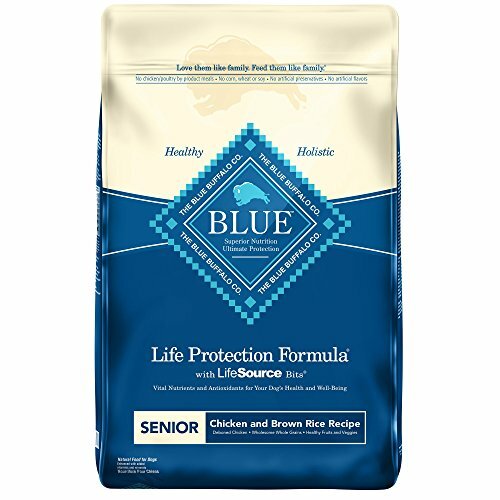 Pet Science Secret dog treats, help safeguard your pet’s immune system and joints,Texture promotes dental health. 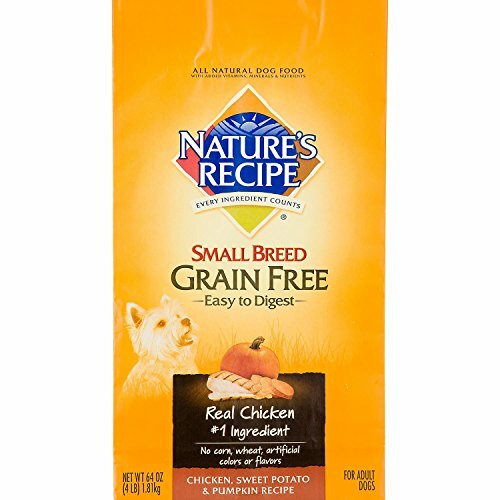 Free of any harmful chemical, additives preservatives and by-products, as well as wheat, soy and corn, there treats are great for grain-allergy prone dogs! 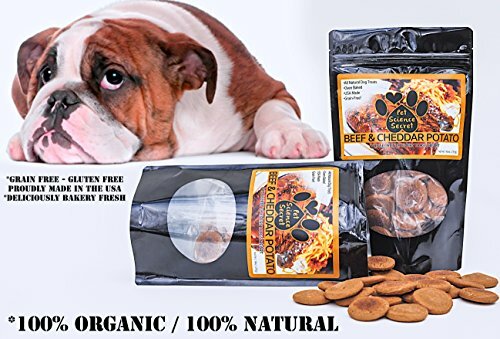 Low Calories: at just 10 calories per treat these Beef and Potato bites are ideal for dogs on low calories diets and are full of natural fiber.The perfect mix of beef and cheddar potato, these treats are loved by dogs of all sizes and ages, puppies and seniors and make for an excellent training reward.